Jim Mattis explained that today drones are piloted remotely, but tomorrow weapons may be able to learn on their own, adapt and fire themselves. Jim Mattis said tomorrow weapons may be able to learn on their own, adapt and fire themselves. 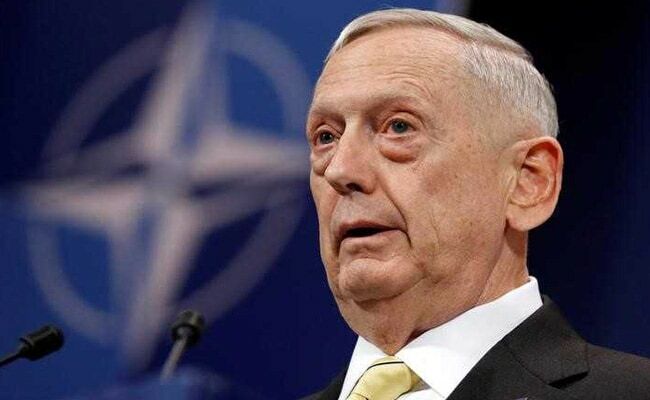 Washington: Artificial intelligence and its impact on weapons of the future has made US Defense Secretary Jim Mattis doubt his own theories on warfare. A question on the subject prompted the retired Marine general to give an impromptu seminar on his theory of war Saturday to reporters returning with him from a week-long tour of Europe. Recalling his own writings, he differentiated between the essential nature of war, which is unchanging because it is human, and war's character, which is changing. "The fundamental nature of war is almost like H2O," he said. "It's equipment, technology, courage, competence, integration of capabilities, fear, cowardice, all these things mixed together into a very unpredictable fundamental nature of war." "The character of war changes all the time. An old dead German called it a Chameleon because it changes to adapt to its time, to the technology, to the terrain," he said, referring to the 19th century military strategist Carl von Clausewitz. Mattis explained that today drones are piloted remotely, but tomorrow weapons may be able to learn on their own, adapt and fire themselves. "The most misnamed weapon in our system is the unmanned aerial vehicle. It may not have a person in the cockpit, but there is someone flying it, someone over his shoulder, and actually more people flying it than a manned airplane," he said. "If we ever get to the point where it is completely on automatic pilot, we are all spectators. That is no longer serving a political purpose. And conflict is a social problem that needs social solutions, people -- human solutions." He said he did not know what artificial intelligence will do to warfare, "but I am certainly questioning my original premise of the fundamental nature of war that does not change. "You have got to question that now. I just don't have the answer."